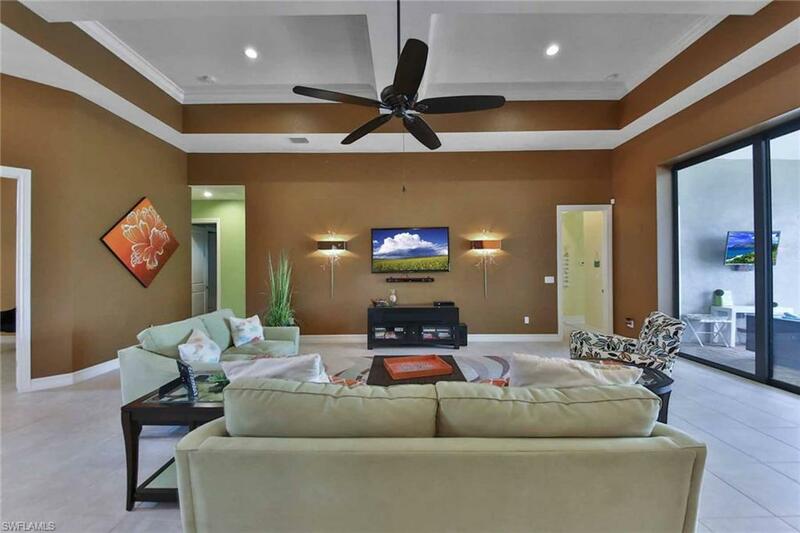 7523 Trento Cir, Naples, FL 34113 (MLS #218057374) :: Clausen Properties, Inc. AVAILABLE season 2020 OR for 6 months at $7500 monthly. Enjoy the best of Lely Resort in this elegantly entertaining single family home in the guard-gated community of Lakoya. 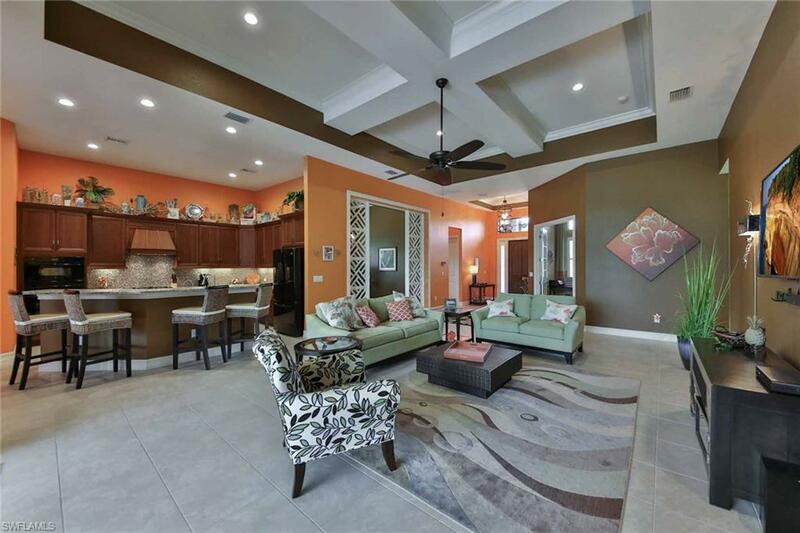 Tastefully decorated with a tropical vibe, this home boasts high ceilings, crown moldings, wood cabinets, granite countertops, stainless steel appliances.the upgrades are endless. Lakeside and on a corner lot, this 4 bedroom + den retreat has an expansive open floor plan. 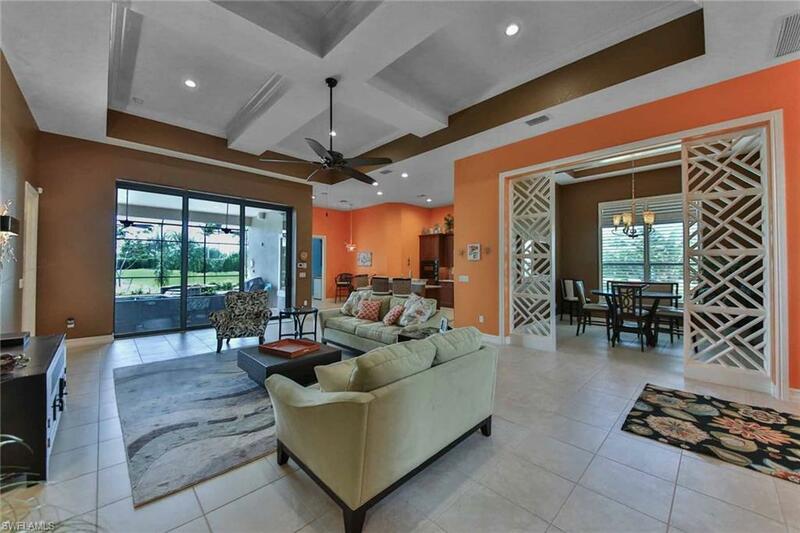 The living area consists of a great room overlooking the large screened pool/lanai, a formal dining room, and an island kitchen with breakfast bar. The Master Suite has a king size bed and en suite bath with a separate tub and shower. The Cabana/Guest suite offers a queen bed and it's own bath and morning kitchen. The two additional bedrooms share a Jack and Jill bathroom with dual vanities and a combined shower/tub. - one has a queen bed and the other two twins. Appreciate outdoor living from the screened lanai or from the heated saltwater pool and spa. Join the PLAYER'S CLUB offering extensive membership privileges at the clubhouse and on the golf course. Information contained herein deemed reliable but not guaranteed.